This is a great book. It is my new favorite Halloween book! The little boy uses his father's barber shop to cut all types of monsters' hair. The illustrations are wonderful! There are so many different kinds of monsters taken from classic literature and legends, as well as from the author's imagination. I love this book--and am currently working on writing: Come Back Green Monster. So stay tuned--hopefully I can get it done this week! It is a great book for preschoolers and beyond. I recommend this book purely for nostalgic reasons. As a girl, I read this book every Halloween. 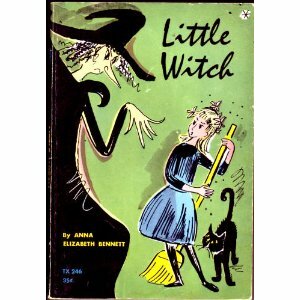 It is a a classic story of a girl being brought up by an evil witch mother, but the girl rebels. She goes to school, showers, and tries to free the witch's captives. In the end, she finds out she is the daughter of a good fairy, who was imprisoned by the witch. She frees her mother, and they of course, live happily ever after. Sadly, this book is no longer in print, and no longer at my local library. I might just have to hunt it down on amazon! 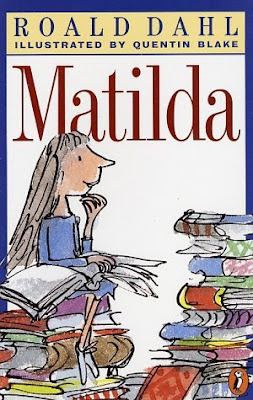 Matilda is basically the same story line as Little Witch, but a bit more modern. It is still in print and easy to find in the library! A fun book to read. Of course there are so many of Dahl's books you could read this time of year. This is a coming of age book--for a scarecrow-- that is. The scarecrow wants to go to work with his dad, but he has to work on his scary face! At the end, he is able to scare the crows away. 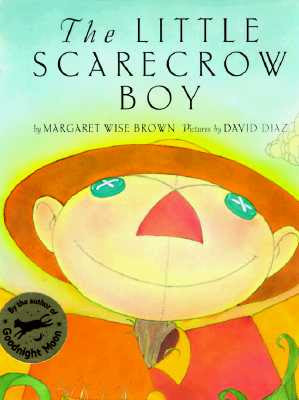 As always, with Margaret Wise Brown, the writing is superb, and it is a wonderful way to lead into making a scarecrow! I finally read this book for the first time this summer. I read it to my second grader--and he loved it! I did voices for all the characters, and my scarecrow voice was, by far, the best! The book is about finding a heart, brain, and courage. Attributes we all need in this life! This book is about dreams coming true! The little pumpkin dreams of becoming fierce pumpkin. Luckily, children pick him from a pumpkin patch and turn him into a scary jack-o-lantern! 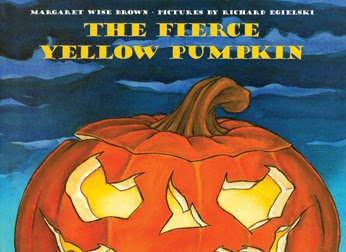 A great book to partner with Gail Gibbon's The Pumpkin Book. I love this book! Rebecca Estelle loves to garden--but she never plants pumpkins until . 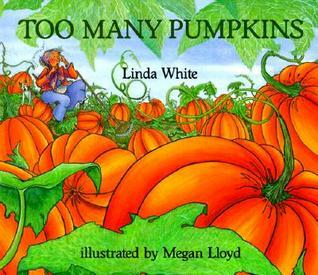 . . a truck splatters pumpkins all over her yard. The pumpkins grow and grow--so eventually she picks them and makes wonderful pumpkin treats! The entire town comes over to eat with her. It is a nice story about turning lemons into lemonade--or in this case broken pumpkins into a wonderful fall festival! Every year we get the sound recording from the library and listen to it as we are driving around going to apple orchards and pumpkin patches! We never get too much of this book! 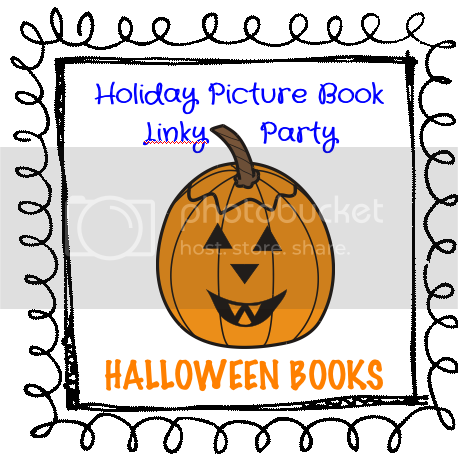 To find more great Halloween Books--check out the linky party! Thanks for sharing your favorite books. Many of your books are also my favorites. I love sharing books! Double thanks for following my blog. I am now your newest follower! Thanks for checking out my blog! I'm your newest follower! Thanks for stopping by my blog! I love your book choices! Now I'm your newest follower! Thank you for stopping by and following me!!! I love The Little Scarecrow Boy! I just started following you! I loooove Even Monsters Need Haircuts and Go Away, Big Green Monster! Both books are amazing - thanks for sharing the others & leaving a link to the linky - I'll be checking out all the others! Fabulous choices! Little Witch looks enchanting. Thanks for stopping by my blog! I have never seen many of these books and have always wanted to read The Wizard of Oz. I will have to check it out! Thanks for linking up to the party! I always enjoy Margaret Wise Brown books. 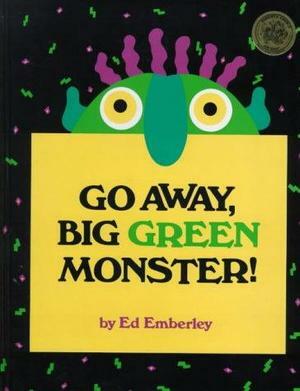 I haven't gotten out my October books yet- I forgot about Go Away Big Green Monster. Can't wait to read it again! Thanks for stopping by my blog. I am your newest follower. The books that you have chosen for the Linky look very entertaining. 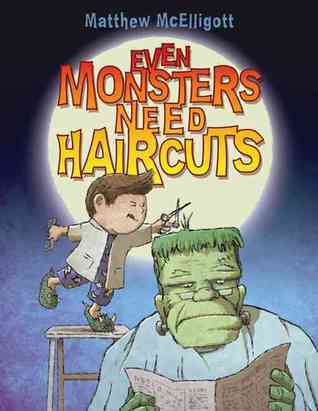 I can't wait to read "Go Away Big Green Monster" and Even Monsters Need Haircuts. Thanks for stopping by my blog. I'm a new follower!